Kama Sutra’s lube “Love Liquid” has been on the market for many years already, but according to the company it is still an important product: “Research show a whopping thirty percent of women are experiencing pain during the act. Kama Sutra’s Love Liquid has the fix,” the lube manufacturer said on this topic. 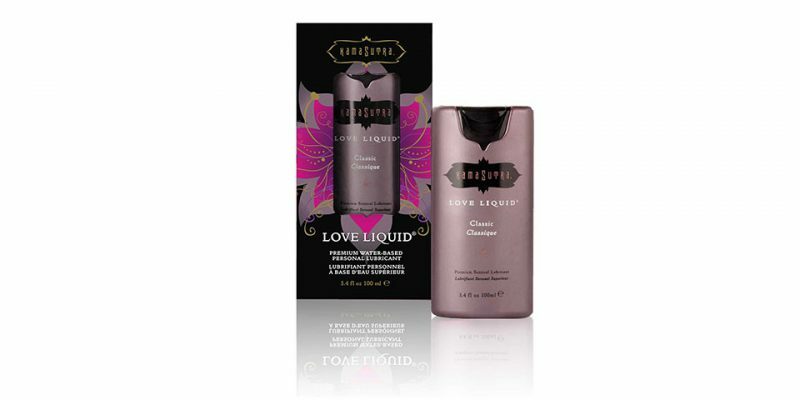 Love Liquid is a water-based lubricant. The simple formula can provide a smooth, natural feel for intimate pleasure and may increase satisfaction. This lubricant is allergy tested, and color and fragrance free. The bottle has a functional dispenser which makes it easier to apply.